Shorts Outback, a unique event under the stars showcasing the best of Australian short film, has found a new home at the Wilpena Pound Resort in the Flinders Ranges. To be held on Saturday 17th November in the shadow of the resort’s famous gum tree, Shorts Outback will screen the pick of the films from the 2012 Shorts Film Festival, held earlier this year in Adelaide, and selected films from sister festival UK Rushes Soho Shorts. Please join us in celebrating story telling at its best where the pick of the films from the 2012 Shorts Film Festival will be screened at Wilpena Pound Resort. Join the film makers, sponsors, supporters, fellow film lovers and some special guests for a great night of food, wine and film. 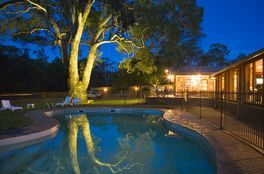 Overnight Resort packages start from $165 per person, including one nights’ accommodation at Wilpena Pound Resort in a standard room, Gourmet BBQ dinner, a ticket to Shorts Outback and breakfast on Sunday morning. 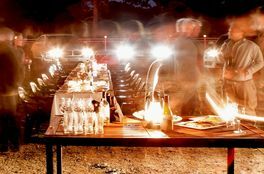 Overnight Camping packages start from $82 per person including one night use of an unpowered site at Wilpena Pound Resort Campground, Gourmet BBQ dinner, a ticket to Shorts Outback and breakfast on Sunday morning. 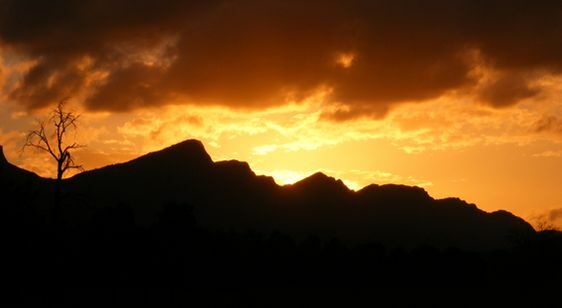 Prices for additional nights and local tours can be arranged by Wilpena Pound Resort.